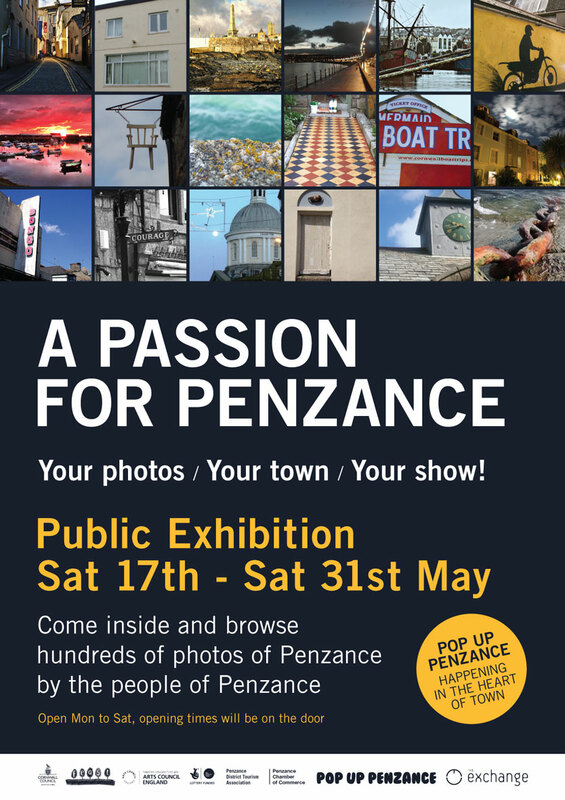 The Penzance BID Steering Group is eager to get feedback from more Penzance businesses on what their priorities for action are when the Penzance BID is established next year (subject to a successful ballot of course). 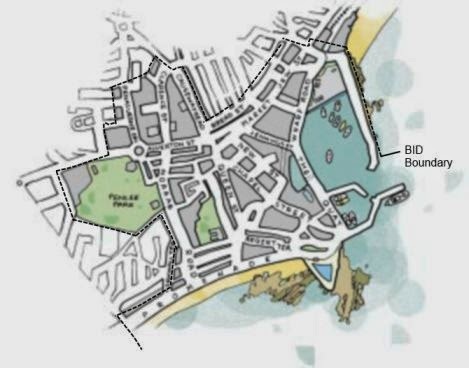 The Steering Group want at least 100 responses (about 25% of the 400+ businesses affected) to provide a sound basis for the next stage in the consultation process. A 40% response rate would of course be better. If you have already completed a survey (in paper or electronic form since 12 Feb) then please encourage any neighbouring business to respond. The proposed BID boundary is shown below. Businesses with rateable values above £6000 are expected to be subject to the levy, those below exempt. Chamber Meeting Tuesday 6 May 2014 - 5.45 at "The Workbox"
The Chamber of Commerce is holding a Committee Meeting this evening (Tue. 6 May 2014) at 5.45 in The Work Box, Pz 360 (Penlowarth House). The Workbox is on the 4th floor (use the entry system at the ground floor entrance to gain entry). The meeting is open to all members to attend. The final version of the agenda can be downloaded here. First Bus briefing on changes to 300 Bus Route here. The meeting will start promptly at 5.45 because the Chairman and some other attendees need to attend the Special Town Council Meeting at 7.00 pm.